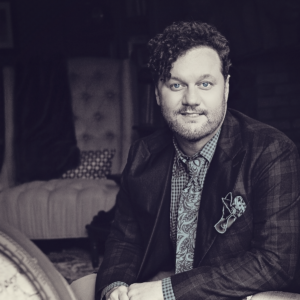 A graduate from Baylor University, David Phelps is credited among today’s most spectacular voices. His seemingly endless vocal range, which extends more than three octaves, coupled with his gift for communicating a song, has brought the house down in the world’s most prestigious venues. For more than 15 years, David served as a member of the popular and prestigious Gaither Vocal Band, and during that time received numerous Dove Awards, Grammy Awards, and multiple platinum-selling recording projects. As a solo artist, he received 2009 Dove Award nominations for Male Vocalist of the Year and Long Form Video for the Christmas DVD, O Holy Night to add to his many awards and honors. David’s 2012 live concert DVD, David Phelps: Classic, debuted on Billboards’ Music Video Chart at #1 and since its release has received acclaim from throughout both Gospel and secular music genres. The recording has been featured on numerous television networks, including the Public Broadcasting System (PBS). In 2015, David released the recording, Freedom. The Freedom companion DVD also debuted at #1 on Billboards’ Music Video Chart. Most recently, in April of 2017, The Best of David Phelps: from the Homecoming Series, peaked at #1 on Billboard’s Music Video Sales Chart, topping such popular video releases as The Beatles’ Eight Days A Week and Eric Clapton’s Live In San Diego, as well as Adele’s Live At The Royal Albert Hall. That same week, David’s Freedom video sat in the top 20. In 2017, David released his latest recording, Hymnal. Throughout the recording, David lends his artistry to some of the most treasured hymns of the church. The recording showcases masterful vocals and lush arrangements as each song takes the listener on a journey of inspiration and worship in song. Growing up in a musical family, his natural gift for song was evident when he was very young. Even as he sang in church as a teenager, he knew that he wanted to be a performer. At the age of 18, while earning his degree in vocal performance from Baylor University, David began what would be a life-long passion of traveling around the world to share music, inspiration and good news. While studying music at Baylor, David met Lori Purtle, who has been his wife and rock-solid partner in his career for more than two decades. The couple has four great kids – Callie, Maggie Beth, Grant and Coby – and the Phelps family resides on their farm outside Nashville, Tennessee.